Add lemon slices, ½ of the plums, and the rosemary to the punch bowl. Add vodka, sparkling wine, lemon juice, and spiced plum simple syrup to the punch dispenser. Add ice. Stir mixture then add the rest of the plums. Take the grapes off of their stems and then combine them with the olive oil, salt, pepper, and thyme in a medium bowl. Once the grapes are thoroughly coated in the oil and seasoning, spread them out in one layer on a baking sheet. Roast the grapes for 45 to 50 minutes or until they start to wrinkle and caramelize. Remove the grapes from the oven, allow them to cool a little bit, and then coat them in the balsamic glaze. Spread goat cheese on each crostini and then top each one with a few grapes. Garnish with fresh thyme and serve! Combine the granulated sugar, brown sugar, cinnamon, salt, and cayenne pepper in a large bowl or ziplock bag. Shake or whisk until the ingredients are combined and then set aside. In a separate bowl mix the pecans and egg white until the pecans are evenly coated. Then add the sugar and spice mixture and toss until combined. Spread the mixture out into one layer on a parchment lined baking sheet. Bake for about 40 minutes or until the pecans are fragrant and the sugar coating is cooked. Make sure to remove the tray from the oven every 20 minutes to flip and stir the nuts around. When the nuts are done, remove them from the oven and let them cool on a cooling rack until the nuts reach room temperature. Transfer the nuts to a sealed container or tie them up with cellophane, a gift tag, and a pretty ribbon for the perfect holiday gift. Preheat your oven to 350 and grease a 9x5 inch loaf pan and set aside. In a large mixing bowl mash the bananas, then add the butter and sugar and beat until well combined. Next mix in the egg and vanilla. Once those are mixed in add the flour, baking soda, and salt and stir until just combined. Put the bread in the oven and bake for 45-55 minutes or until a toothpick inserted in the center of the loaf comes out clean. Let the banana bread cool in the pan for about 10 minutes and then remove the bread from the pan and let it finish cooling on a wire rack. While the banana bread is cooling you can get started on the brown butter glaze. Add the butter to a saucepan and cook over medium heat string frequently until it starts to foam. Once the butter has foamed stop staring and let it continue to cook until it turns an amber brown color. Remove the butter from the heat, sift in powdered sugar, add the milk and stir. Use enough milk so that the butter and sugar mixture comes to the perfect glaze consistency. Finally drizzle the brown butter glaze over the banana bread. If you can resist eating it yourself, this banana bread makes a wonderful gift. In a shaker, combine the Kahlua, SNAP, and vodka. Shake until combined. Fill a glass with ice and pour the mixture over it. Top off the glass with a splash of heavy cream. In a tall glass muddle the lime juice, sugar, and mint leaves until the leaves have broken down. Using a blender, combine the white rum, coconut rum, and coconut milk and blend until smooth. Pour over the ice in the glass, top it off with a splash of sparkling water, and garnish with mint. Put 1-2 scoops of vanilla ice cream in a glass and pour the hard cider over top until the glass is almost full. Add the whipped cream and diced apples to the top, followed by a drizzle of caramel sauce or a light dusting of cinnamon. 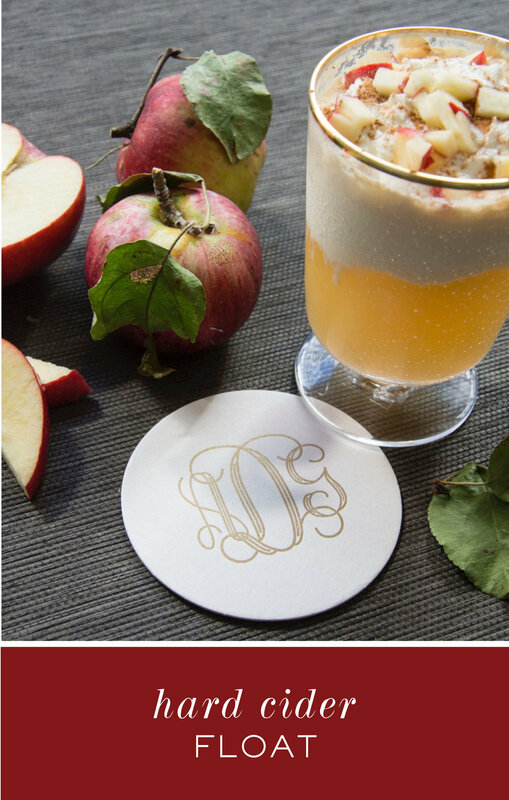 Garnish with a thin slice of apple. Cut puff pastry into 1/2 inch strips. To mummify the brie, wrap the pastry strips around the wheel of brie making sure to leave an open spot for the eyes. Carefully brush the pastry with a beaten egg and bake 15-20 minutes or until the pastry is golden. Add olives, mini pepperoni, or small candies as eyes, serve with crackers, and enjoy! Prepare a glass with a bloody rim by using gel food coloring or by mixing regular food coloring with a little cornstarch. Pour mango vodka, coconut rum, sour mix, and a splash of grenadine into a cocktail shaker with ice. Shake well. Pour into the blood rimmed glass. 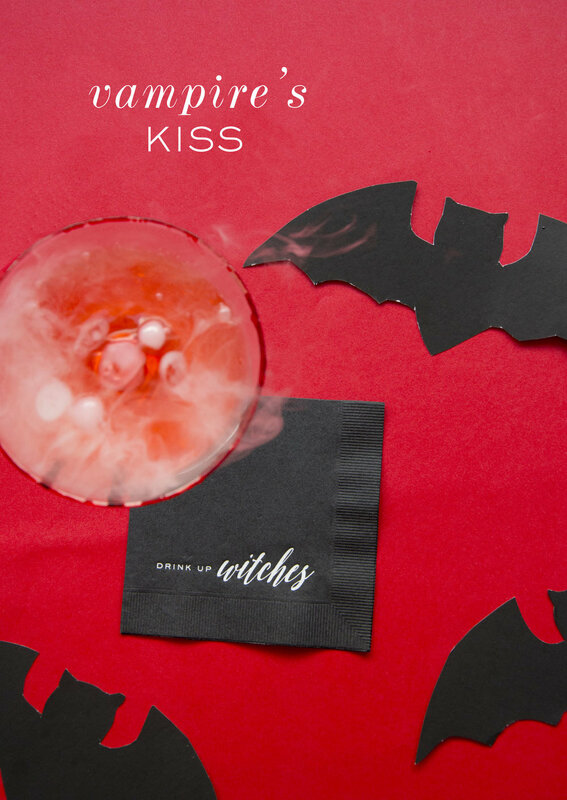 For an extra spooky element add a small piece of dry ice to the bottom of the glass and it will bubble eerily. Bring water, 8-10 fresh sage leaves and honey to a boil. Reduce heat to low and simmer for 3 minutes. Turn off the heat and let the syrup cool. 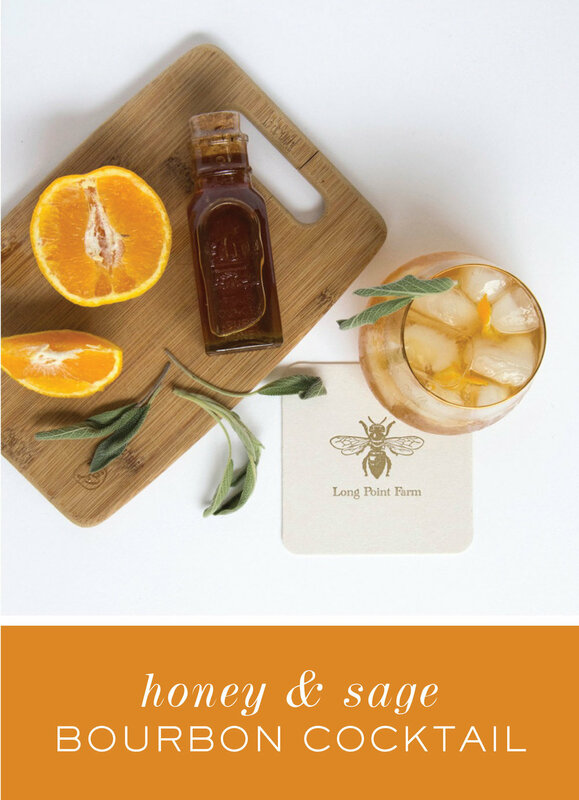 Add bourbon and 3 Tbsp of the honey sage syrup to a cocktail shaker and shake. Pour the mixture over a cup of ice. Twist orange peel over the glass to release the oils and then add the peel to the cocktail. Garnish with a fresh sage leaf and enjoy!